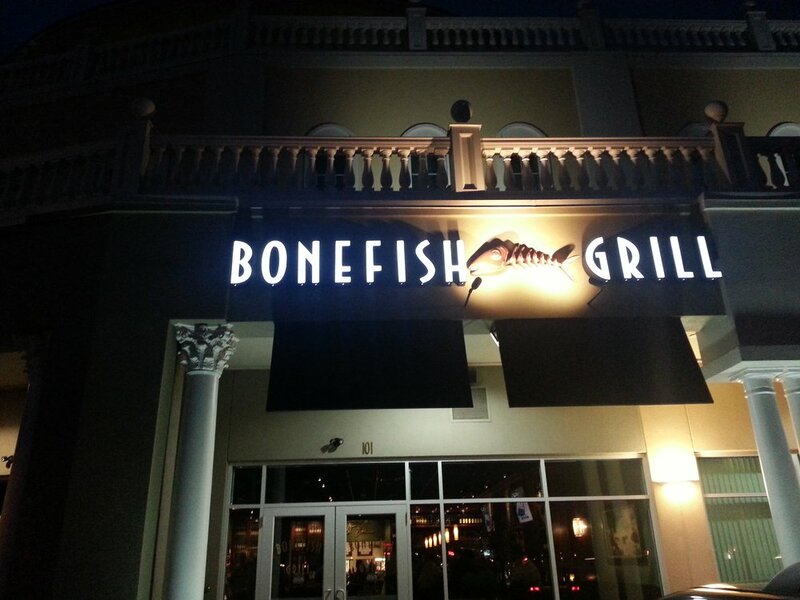 We fell into Bone Fish Grill, because we could not find the restaurant we were looking for. 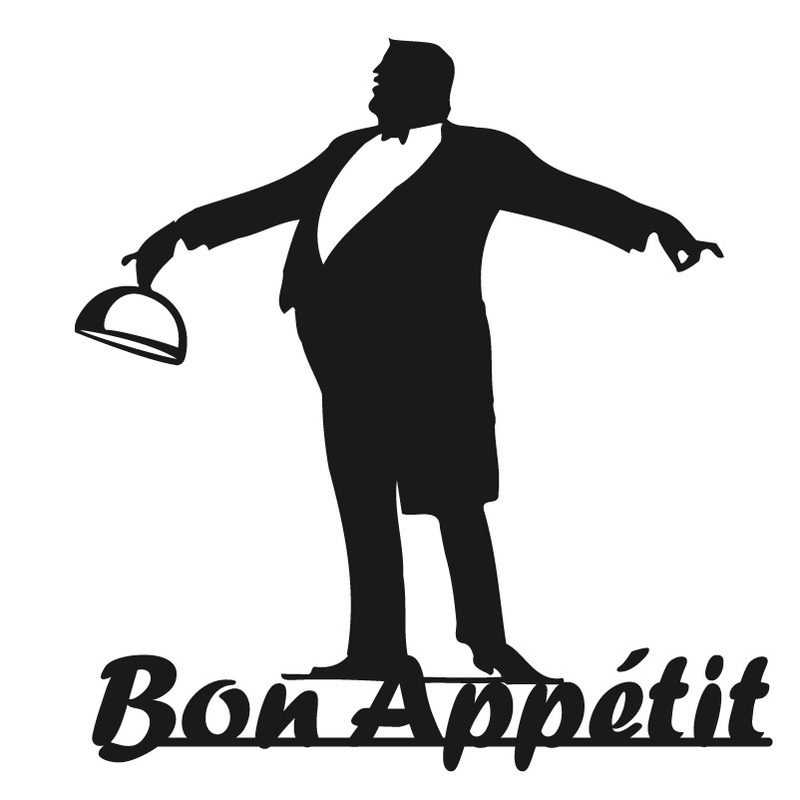 As a sister restaurant to Outback restaurant chain, we knew we would have a relatively good meal, and that was what we were looking for. Same all over the country we both have visited other BFG’s and found them to be okay. Since it was early afternoon it was quiet which is always a plus. The cheerful hostess took us to our seats and attempted to seat us at a table that was evidently still not clean, so off we went to table number two. Same results. After one more unsuccessful look, I chose the table I wanted to sit at. As we looked around the restaurant, it was quite evident that it was not well maintained. Floors and booths were littered with crumbs. I was quite surprised, any of the other BFG’s I have been to always appeared to be clean. Service was prompt and friendly, we ordered some drinks as we viewed the menu. Starters of Wagyu Beef Ginger Dumpling and Ceviche. 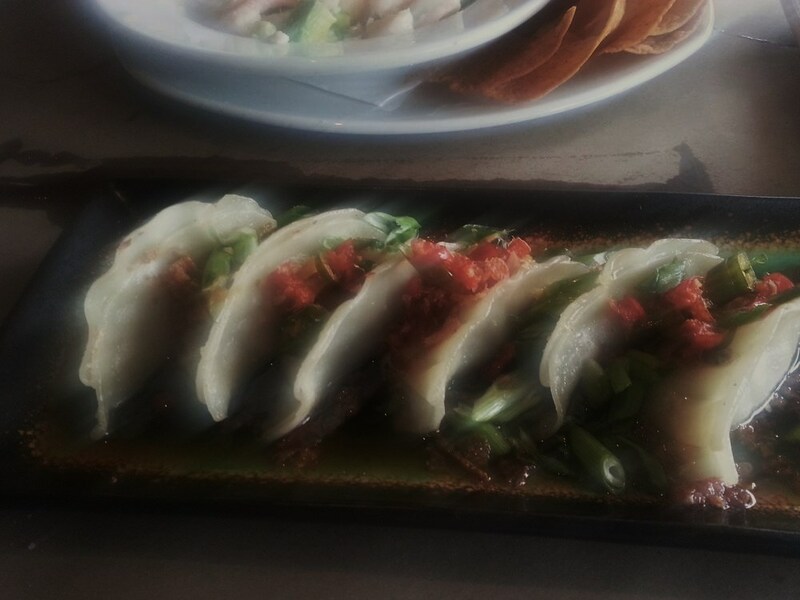 Dumplings were spot on, soft tasty meat with a pop of heat from the ginger, not so much the Ceviche. Shrimp and fish were soggy not crisp as expected when “cooked” for the proper amount of time in the acids. Tasteless with almost no flavor of lime or cilantro. We did ask for it to be taken away and were offered a new serving? 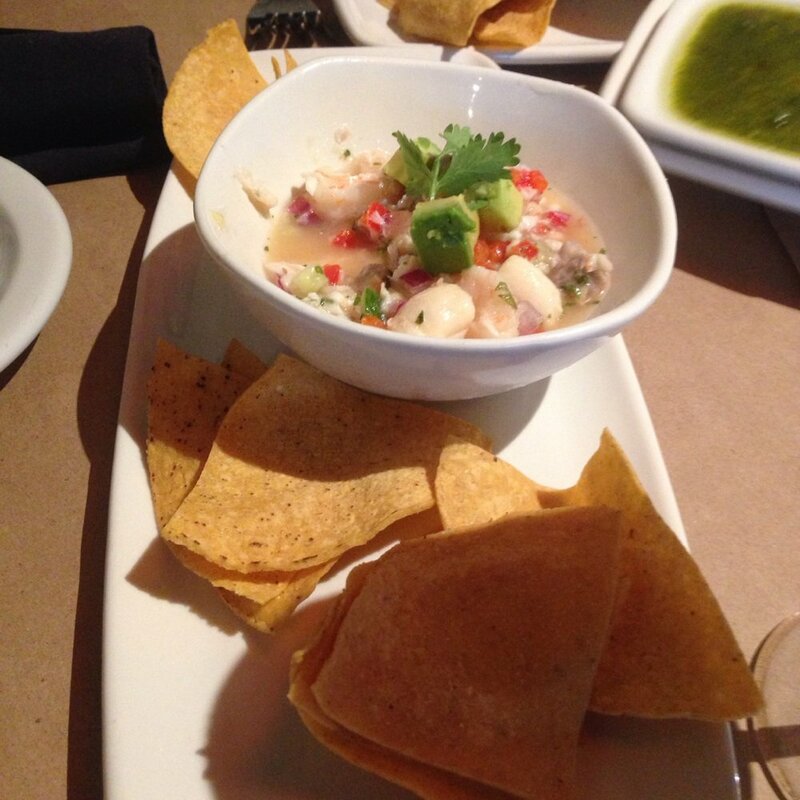 I always laugh when the response is we’ll bring you a “fresh one”, Did they have a secret stash of this dish? 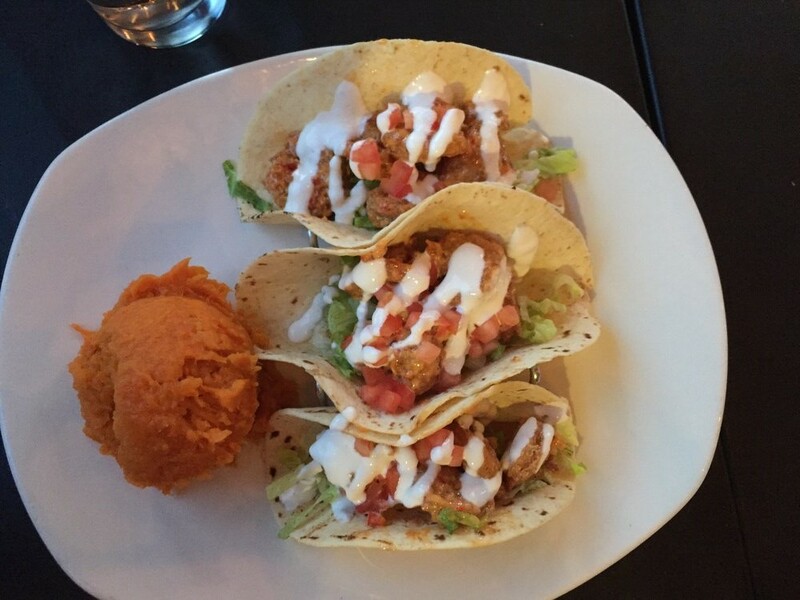 Entrée was the Bang Bang Shrimp Taco and the Ahi Tuna. My poor companion with the bad Ceviche now got the bad Tacos. The shrimps were tasty but the shell a disaster. The middle of the taco was soft, the outside dried out with the texture of a Doritos chip without the good flavor. She just plucked the shrimp out and tossed the shell. 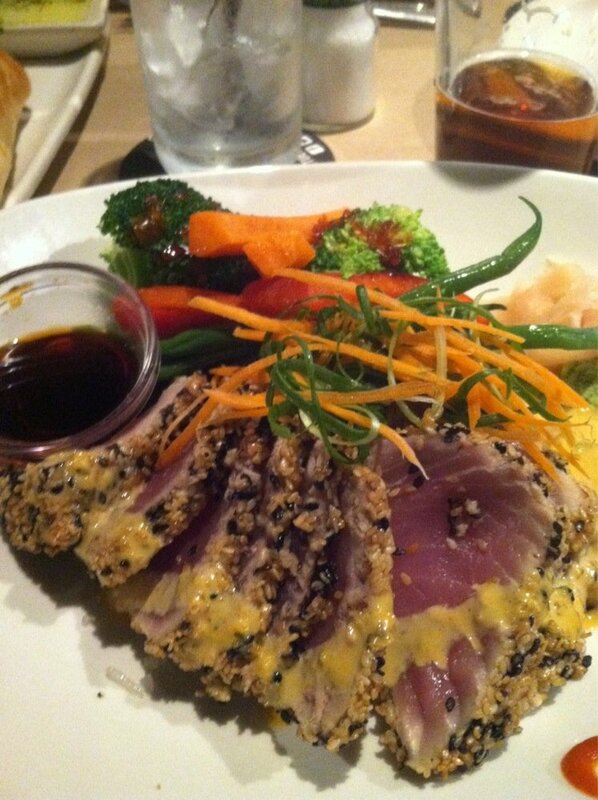 The Tuna on the other hand was delicious, well seasoned, cooked rate with a warm center. It was my lucky day. I normally would have no complaints about BFG, but this was not an enjoyable experience. The only beauty of chain restaurants in my mind, you can select one no matter where you are on the domestic map and get food that tastes pretty much the same as your local. Not so much with this one. A minus two for the food and a minus five for cleanliness.